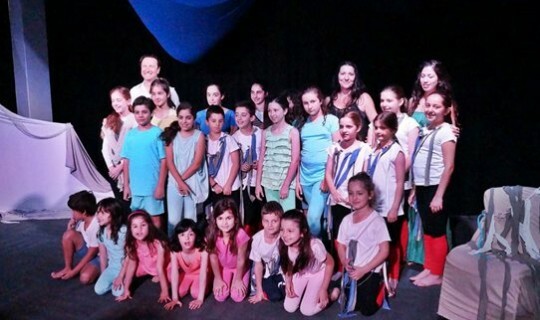 Students of the Centre of Creative Drama and Arts (CCDA) of the Greek Community of Melbourne (GCM) successfully presented two children plays at the Greek Centre for Contemporary Culture, last Sunday. The students from the CCDA Oakleigh campus performed the play “Crocodile Cornelius”, by Eugene Triviza, while the students of the Alphington Grammar campus presented the ancient comedy “Hippeis” by Aristophanes. Both performances were received with accolades by the audience who also expressed their congratulations to the drama teacher and coordinator of the Centre, Ms Katerina Poutahidou. Meanwhile, last weekend the end-of-year concerts of the GCM Language and Culture schools commenced. Last Friday and Saturday the Parents’ Committee of the Doncaster campus organised BBQs for students, parents and teachers. The final event for the school year will be the presnetation of the awards to all VCE students that excelled in the subjects of the Modern Greek and Ancient Greek.